Chromebook vs. laptop: Which OS wins the battle for your mobile computer? When you hear people talking about Chromebooks as if they were a different species from regular laptops, there is a good reason: Chromebooks are in a class of their own. Yes, they’re similar to ordinary notebooks, being essentially highly mobile, speedy laptops. But they run a totally different operating system, one that favors those who prefer Google and Android services. Let’s take a look at Chromebooks versus laptops, and if buying a Chromebook is right for you. Chromebooks are particularly lightweight, low-cost laptops that run Google’s Chrome platform and do most of their work in the cloud. They tend to be about the size of ultrabooks, with similar slim design features (many are also 2-in-1 hybrids), but they’re far more budget-friendly than an ultrabook or even an average laptop. Chromebooks are most often seen in the education world or as a first-time personal laptop. Chromebooks are primarily offered by Acer, Asus, HP, and Samsung. 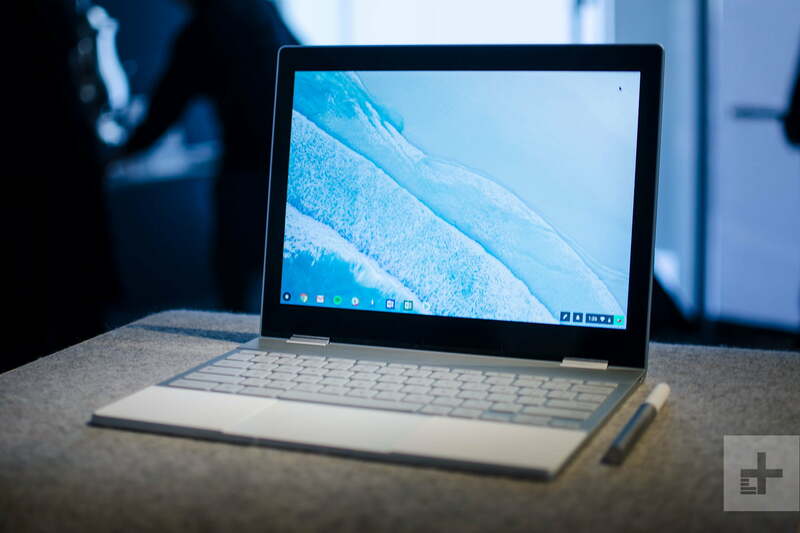 Google also has its own premium Chromebook, the Pixelbook. The most obvious Chromebook feature is that these machines run on Chrome OS. If you’ve ever used the Chrome browser, you know what this is like; Chrome OS is a souped-up version of the browser with heavy reliance on Google’s own services such as Google Docs, Gmail, and Drive. If a laptop has Chrome OS, it’s a Chromebook. Chrome OS is designed to have a particularly light footprint. It doesn’t need a powerful processor or a lot of RAM to operate smoothly. Instead, it relies on cloud services to store data and Google apps to function. This is why Chromebooks tend to have so little storage. It’s also why they can’t really run programs like Photoshop, which can limit their usefulness to some consumers. Some Chromebooks even have access to the Google Play Store, which allows you to run certain Android apps and games. 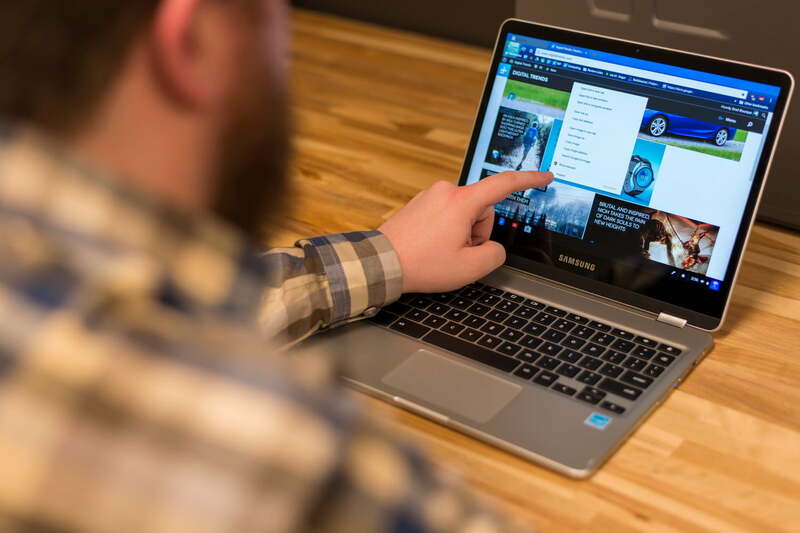 Chromebook screens vary considerably thanks to the many product lines from various brands. You may see anything from 11.6-inch to 15.6-inch screens. HD resolution is the standard. Touchscreen and 4K options are rare but do exist. Intel Celeron processors are a popular choice for today’s Chromebooks, typically dual-core versions that rarely rise above the 2.0GHz mark. Most Chromebooks also offer 2GB to 4GB of RAM. This is enough for average laptop tasks, but low compared to traditional laptop models, which regularly offer up to 16GB of RAM. As for ports, most are largely comparable to laptops, although fewer in number. USB 3.0, HDMI, and headphone jacks are common. With storage, Chromebooks don’t have large disk drives, as they depend on the internet for most data purposes. Storage can usually be augmented with an SD card or USB drive if necessary. Finally, average Chromebooks have better battery life than the average laptop. Though nine or 10 hours is most common, newer models are more likely to have 12-hour battery life. Take a look at popular Chromebooks on the market and you’ll quickly see just how affordable they are. This HP flagship model is $600. This Acer version is $426. A popular 2017 Samsung model can even be found for $226. Asides from Google’s ultra-premium $1,000 Pixelbook Chromebook, this is another big departure compared to other laptops. Ultrabooks can easily surpass $1,000 even with a basic specification, and something like an upgraded Surface Book can break $3,000. Such low prices are one of the strongest market differentiators for Chromebooks. When people are on a strict budget and can only afford a few hundred dollars for a new laptop, Chromebooks are their first — often only — choice. No other laptops (and increasingly few tablets) are so affordable. In return for giving up space and power, Chromebooks become quite speedy. Their quick load times allow you to start working immediately after power-up, with minimal wait times. It’s one of the things that makes them so well suited for on-the-go work or moving from class to class. But the loss of power also makes Chromebooks ineffectual at other laptop tasks. They cannot run demanding software, you can’t open dozens of browser tabs at once without expecting problems, and these machines aren’t the best choice for watching movies (and certainly not for playing games). With their affordability and streamlined operation, Chromebooks have proven particularly popular in education circles. Google offers a robust partnership program with schools, and educational organizations have embraced them. The benefits of Chromebooks diminish in higher education, however, where more powerful and specialized programs are required. As a result, Chromebooks are more likely seen in grade school and high school. Of course, they also show up in the business world when people want an affordable, streaming-focused laptop. There is a significant exception to this summary, and it comes from Google itself. The first was in the form of the Chromebook Pixel but now we have a replacement model: the $1,000 Pixelbook hybrid laptop. These Chromebooks break the mold with more elaborate touchscreens, plenty of storage space and RAM, and other specs that position them as direct competitors to the Surface Book and Surface Pro models from Microsoft. Another exception is the Pixel Slate, Google’s second shot at the Microsoft Surface Pro and iPad. With prices starting at $600, the Pixel Slate is the more affordable option for consumers looking for a premium Chrome OS device. Including support for the Google Play Store, it brings together Android Apps and Chrome OS and is designed to replace both a tablet and laptop. It is still little weird that Google’s own version of Chromebooks should be so different from the rest of the market. On the plus side, it provides a compromise for those who want high-end ultrabook specs and a touchscreen, but still prefer working on Chrome OS. Acer's refreshed lineup featuring the TravelMate P6, Nitro 5, Nitro 7, Chromebook 714, Chromebook 715, and Spin 3 is designed for the needs of either the gaming or enterprise markets. All models feature Intel's 8th-generation CPUs.